Jennifer Reeves (also known as Jennifer Todd Reeves) (b. 1971, Ceylon) is an American experimental filmmaker based in New York who works primarily on 16mm film. Her films have shown extensively, from the Berlin, New York, Vancouver, London, Sundance, and Seoul Film Festivals to many Microcinemas in the US and Canada, the Robert Flaherty Seminar, Princeton University, and the Museum of Modern Art. In August 2008, Reeves completed her 4.5 years in-the-making When it was blue, which premiered at Toronto International Film Festival in September with live music by Skúli Sverrisson. In 2007 Reeves performed her double-projection films Light work mood disorder and He walked away (with music by Anthony Burr) at Rotterdam Film Festival, the Wexner Center, AFI Fest, Diapason Gallery in New York, Kino Arsenal in Berlin, and the Contemporary Art Museum of Strasbourg. Jennifer has been the proud recipient of a 2007 Wexner Center Capital Residency Award, which made it possible for her to complete production and post-production on her Light work mood disorder, and gave partial completion funds for her recently completed When it was blue. The MacDowell Colony and the Experimental Television Center also gave support to the project. Reeves has made experimental films since 1990 (or since 1986 if you consider high-school video-making). She does her own writing, cinematography, editing, and sound design. 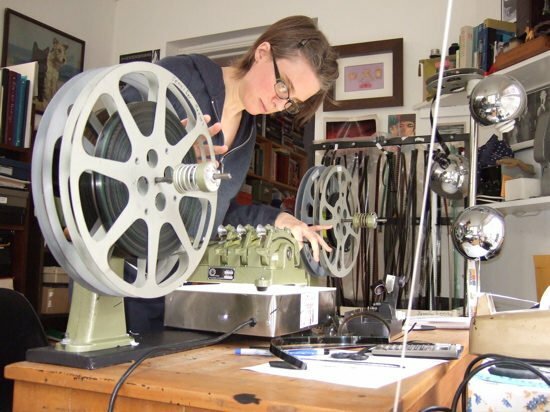 Her subjective and personal films push the boundaries of film through optical-printing, film stock “mis-use”, and direct-on-film techniques (including hand-painting and sewing 16mm film). Reeves has consistently explored themes of memory, mental health and recovery, feminism and sexuality, landscape, wildlife, and politics in her work since the early 90s. Since 2003 Reeves has collaborated with some of the finest composer/ musicians today, including Anthony Burr, Skúli Sverrisson, Elliott Sharp, Zeena Parkins, Marc Ribot, Erik Hoversten, Pitt Reeves, Hilmar Jensson, John Stone, Eliza Slavet, and Dave Cerf. The daughter of a trumpeter, gravitating toward film and music collaborations was natural. In 2003, Reeves expanded her work as a “single strand filmmaker” by creating multiple-projection films, to be performed with live original music. This direction in her work began with He walked away (several scores with different composers) and has culminated in her recent work Light work mood disorder (composer Anthony Burr), and When it was blue (score by Skúli Sverrisson). In 2005, Reeves was commissioned to make a silent film for the Bard Music Festival. Shadows choose their horrors premiered with the American Symphony Orchestra’s performance of Aaron Copland’s Grohg (Leon Botstein, conductor). Reeves has also made a number of experiemental narratives, most notably her highly acclaimed feature The time we killed. Reeves also teaches film part-time at Bard College's Milton Avery School of the Arts, The Cooper Union, Millennium Film Workshop and the School of Visual Arts in the Photography and Related Media MFA program. Article on When it was blue by Michael Sicinski for Cinema Scope, Issue 37. 'Homeland Insecurity' Interview by Brent Kite, Cinema Scope, Issue 20, Fall 2004. Lives Interview by Sasha Soren on Arte Six, Dec 2004/Jan 2005 Issue (scroll down). Jennifer Reeves at the Drawing Center: Paint It Wack, article by Robert Shuster for the Village Voice, July 16 2008.